Make this stunning quilt for someone special. Our descriptive instructions make this project achievable by almost any quilter. This phenomenal quilt would look great on any queen-sized bed. Although it looks like an impossible project, careful attention to the instructions will ensure a gorgeous result! The border fabric is a limited release - it's the 2015 Vermont Shop Hop fabric, not available at any quilt shop other than Shop Hop participants. Kit includes instructions, and fabric for the top and binding. 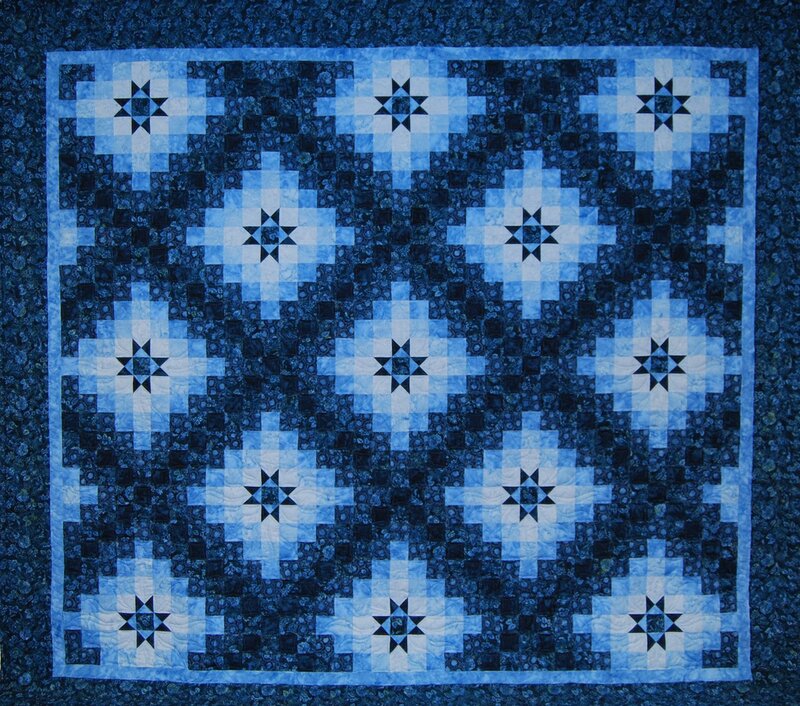 Quilt finishes at 94" x 103".